This week we are celebrating the very best of spring gardening with Monty at Longmeadow and visiting the RHS Malvern Spring Festival to see this year’s hottest garden designs and the season’s must-have plants. At Longmeadow, Monty plants herbaceous perennials for summer colour and gives advice on how to care for carnivorous plants, Frances Tophill catches up with the growing trend for greening up indoor spaces with house plants and we meet the third finalist in our Every Space Counts competition. Carol Klein, Joe Swift and Adam Frost explore the showground at the RHS Malvern Spring Festival and bring us the best from the floral marquee and the show gardens. “The Power of new growth” – Monty Don – that’s certainly true in my garden this week, you can literally see the plants growing. Cirsium rivulare ‘Atropurpureum’ Plum thistle – grows to 3-4 ft tall, flowers till late summer. Echinacea purpurea ‘Magnus’ Coneflower – loved by butterflies and bees. Needs very low nutrient potting compost as all the energy comes from the flies they consume. Sansevieria trifasciata var. laurentii – Mother-in-law’s tongue – ideal for bedrooms as it releases oxygen while you sleep at nighttime. Ficus lyrata – Fiddle-leaf fig – loves light so should be kept near a window but never allow to dry out. Primula pulverulenta – Bartley Strain – tall primula that flowers for months. Myrrhis odorata – sweet cicely – add the stems to rhubarb to make it sweeter without adding so much sugar. Lonicera periclymenum ‘Scentsation’ – Honeysuckle, keeps many leaves over winter and highly perfumed. Aeonium tabuliforme – has a fabinci spiral pattern of leaves. Time to plant climbing beans. Need rich soil with plenty of organic matter. They do not like dry conditions. Like a mild damp summer. Climbing French bean ‘Blauhilde’ – Monty described them as delicious and decorative purple pods. Time to harvest – has taken a good couple of years to become established. Plant out beetroot if you grow from seed in pots. 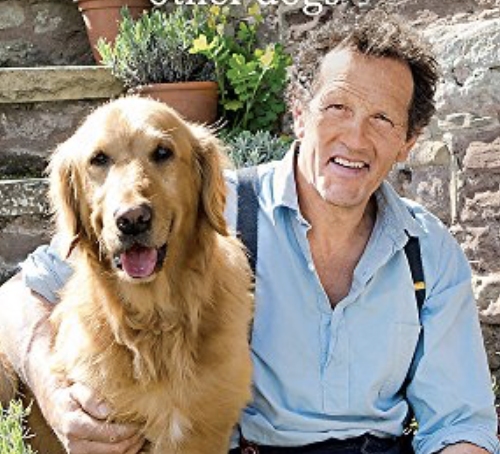 Click here for my full Monty Don reading list. Week 24: June 18th & 19th: Jobs to do in the garden this weekend with the children. Thompson & Morgan special offer Three bulbs pre-planted in a 12cm (5in) zinc cachepot (designs may vary).